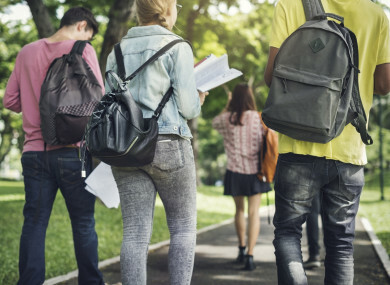 ‘INCLUSIVE’ EDUCATIONAL POLICIES that help working class students access higher education, such as lowering the cost of private education, act to reduce the ‘happiness gap’ between the rich and poor, according to a new study. Other such policies include delaying streaming children according to their ability until they are older and increasing the intake of universities so that more students can attend. Research shows that the more educated people are, the happier they tend to be, according to the authors. They note that it is, unfortunately, also the case that children from privileged, wealthy backgrounds tend to do better at school and are more likely to go to university than children from poorer working class backgrounds. The study, published in the British Journal of Sociology of Education, shows that this doesn’t have to be the case, and that the link between social class and happiness can be moderated by educational policies that offer more opportunities to disadvantaged children. The researchers used the European Social Survey, a European-wide survey carried out every two years since 2002, to calculate the life satisfaction and happiness of almost 15,000 people aged 18-29 years from 25 countries. They then looked at the impact of four different education policies on the wellbeing of citizens. The results showed that young people from privileged social backgrounds were more satisfied with their life than those from disadvantaged backgrounds. However, the size of this disparity was affected by the types of educational policies adopted by European countries. For example, in countries that delayed streaming, or tracking children according to ability until a later age, there was a negligible difference in life satisfaction between different social classes. “The age at which children were streamed had no effect on the wellbeing of middle class students, however children from impoverished backgrounds were significantly happier when streaming age was delayed,” the study’s lead author Björn Högberg said. Denmark, on the other hand, was one of the most equal country in terms of the happiness of its citizens. It also had the most inclusive educational policies – tracking pupils at an older age, providing low-cost private education, and giving children generous second chance opportunities to go to university. “Schools have the potential to have a huge impact on children and youth and on their life chances, but a narrow focus on academic outcomes such as test results provides only an incomplete picture of the consequences of education policies,” Högberg said. Email “Countries that help working class students get into university have happier citizens”. Feedback on “Countries that help working class students get into university have happier citizens”.